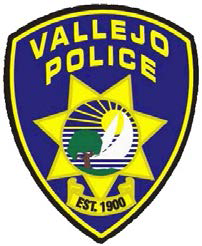 Vallejo, CA – On February 25, 2018, members of the Vallejo Police Department Traffic Division and Community Services Section conducted an abandoned auto enforcement operation. We checked 162 cars that were reported to us as abandoned. Of the cars checked, we found 100 to be currently registered, legally parked or not at the reported location. However, we issued 17 parking citations and marked 13 cars to be towed if not moved in 72 hours. Most notably, we impounded 62 cars for various violations. For this operation we focused only on the cars that have been reported to us as opposed to investigating cars that we freely observed. Since July 2016, we have conducted ten of these “sweeps” for reported abandoned autos in order keep up with the list of 500 plus cars we have at any one time. We have checked almost 2000 cars and found that almost 1200 cars did not qualify as an abandoned either because they were currently registered or not at the reported location. This means that over 60% the vehicles reported as abandoned are not. Since that time, however, we have towed over 700 cars. The Police Department encourages anyone who has a vehicle that is unregistered, missing parts needed to operate or otherwise left on a city street to have it removed and/or brought into compliance with state and local laws. You can also help by being a good neighbor and store cars that you do not drive regularly in your garage or other suitable off-street parking facility. We will continue operations like this in the coming months as we work to rid the streets of blighted vehicles.